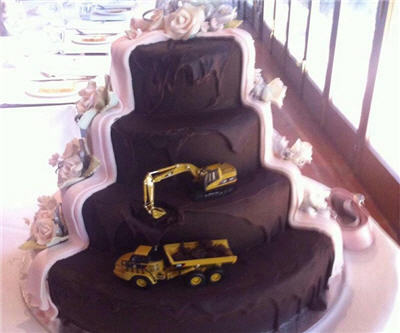 Tom Kern shared a picture on Facebook of his wedding cake styled as an open pit complete with a Cat excavator and dump truck. Kern was married early this month and is based in Victoria, Australia. Kern is self-employed.